If you are considering asphalt shingles for your rooftop, you are about to make a wise decision, as both a savvy consumer and a smart homeowner. Whether you are installing a new roof or replacing your roofing shingles, this is one of the best ways to go. An even smarter approach is to let the Brian O'Donnell Quality Home Improvements experts handle the job for you. Committed to providing only the best in top notch service since starting back in 1978, Brian has been dedicated to going above and beyond for every job. We are not about meeting your expectations, we believe in exceeding them. This is extremely critical since this is the roof we are talking about. Your rooftop is the most important aspect of your home; this is what helps to ensure the protection of the rest of the home from the elements. If the integrity is compromised in any way, this hinders the roofing system from doing the job that it is supposed to. So it is essential to get the best workmanship possible for it. We will meet with you to review with you the options that you have and help guide you towards making the best choices possible. 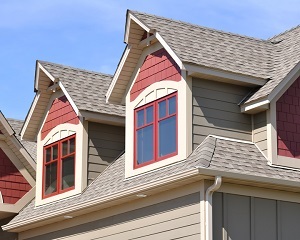 The last thing that you need is to feel unsure about what type of roof to get. We will instill confidence for your decision making and provide you with peace of mind about the choice you make. Cost-effective – This is easily one of the most budget friendly options for your roof. Not to mention that when something needs repairs or a shingle needs replacement, this is also an affordable task. Life Span – While there are some other roofing types that will last longer, you get great longevity for the upfront investment. The average life span of a well maintained asphalt roof is about 20 years. Recyclable – This is important to Brian, who you will notice does not use a dumpster for construction waste because he is environmentally consciousness. Asphalt can be recycled for a paving by-product and not take up landfill space. Colors – What many people do not realize is the wide array of colors that asphalt shingles are available in. This enables you to get just about any color that you want for your roof, in order to suit your home, without having to compromise. While there are plenty of other reasons that asphalt roofing shingles make such a good choice, these are some of the top contenders. When we meet with you we can discuss with you the many other reasons that this just makes sense. Our goal as your roofing contractor is to provide you with a shingle roof that you can live with and love for years to come. Brian O'Donnell Quality Home Improvements is the only name that you need to know to get started on your asphalt shingles roofing project. Don't take a chance by letting someone lacking the credentials take care of this for you. With almost four decades of impeccable reputation behind our name, there is no reason to settle for anything less than the best when you need roofing services in the Farmington Valley area. We can provide you with the quality you need to ensure maximum performance and longevity. Our roofers will provide you with an individually designed roof systems using top quality Certainteed asphalt shingles to meet your unique needs. Our roofing contractors in Simsbury are factory trained and certified to perform roof installations. We even help with customized customer care, such as helping you choose just the right color roofing shingle for your home. Call now and let's start taking care of getting your new roof in place. If you are interested in an estimate for asphalt shingles roofing, please call our roofing contractors at 860-658-2474 or complete our online request form. I would like to commend your crew for job well done on our roof. "Quality HomeImprovements" is a true trademark of your work crew and the product you deliver. Job Well Done! - Roger & Barb S.
Brian, nice job done. We were especially impressed with your crew – very polite, conscientious and hardworking. 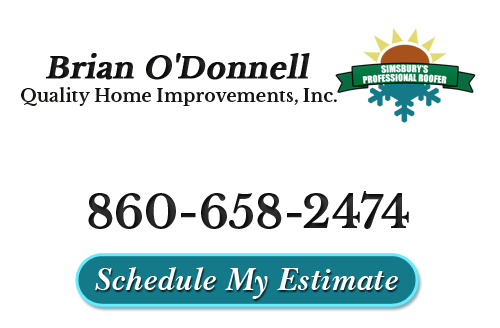 Brian O'Donnell Quality Home Improvements, Inc.